This absolutely beautiful Swarovski Austrian Crystal pendant has to be one of my favorites. 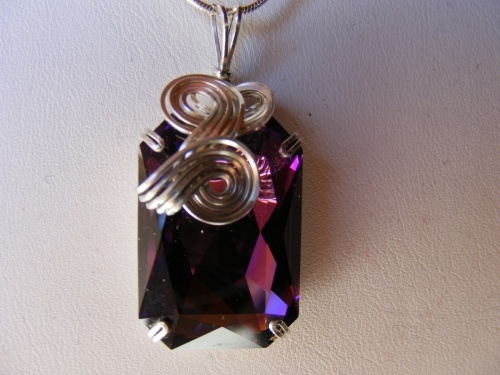 Deep and bold amethyst with luscious curls of dripping silver. Piece measures 1 1/2" from top to bottom and 3/4" wide. Comes with a sterling silver snake chain. You have to see this one its gorgous - please note this piece is not vintage.